This coffee table was inspired by the red sandstone of Lodore Canyon in Northwest Colorado. Artist's collection. 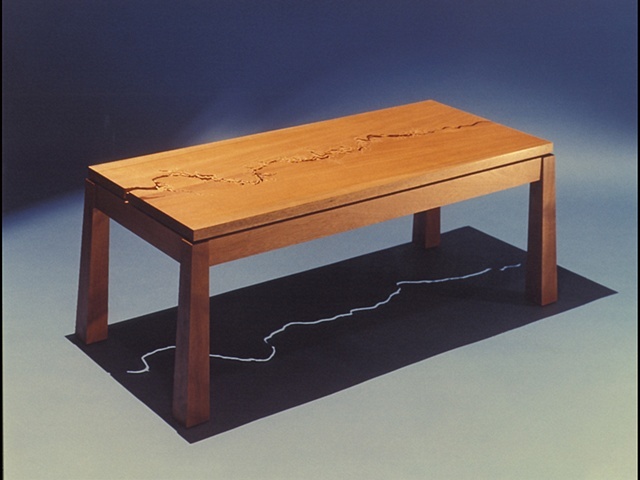 The Lodore Canyon Table was chosen for the book, "500 Tables", published by Lark Books. This piece won the People’s Choice Award & Creative Design Award 20th Annual Exhibition of Fine Woodworking.